Police responded to the Interbay House in the 2200 block of 15th Avenue West for an assault at 6:39 a.m. Wednesday, Jan. 2. The victim, a cook in the kitchen, reported that a resident had approached the counter and asked for food. The victim told the suspect he’d make him something to eat, but he’d have to wait. The suspect threw a fork and a cup at the victim, who pulled the gate separating the cafeteria and the kitchen down to block the barrage of items being thrown at him. He had to walk to the front desk area to have someone call 911. While he was doing that the suspect approached and punched him in the left side of the head. The suspect returned to his apartment as staff was calling 911, and he refused to come out when officers arrived. Police intend to charge the suspect with misdemeanor assault. As this is not the first time police have had to respond to the home due to an outburst by this suspect, they are referring the incident to a mental health court. 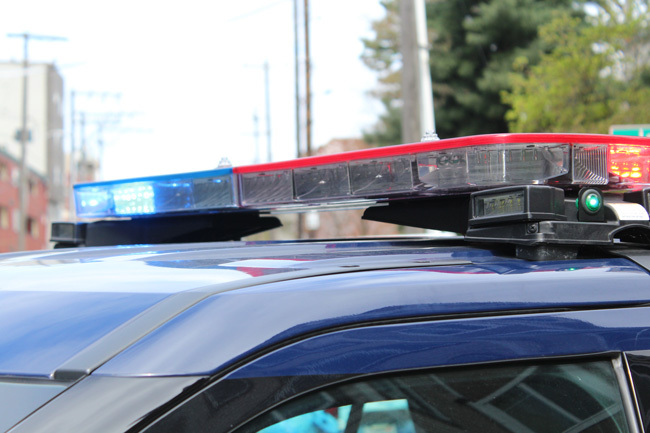 Police were called to a burglary in progress at a condo building in the 100 block of Queen Anne Avenue North at 12:18 p.m. Saturday, Jan. 5. The 911 caller was a condo owner on scene who was updating police with the suspect’s whereabouts. He said he’d watched the suspect attempt to break into several units before making his way to a nearby parking garage. Responding officers located the suspect in the parking garage at Elliott Avenue and Clay Street. When officers approached him and told him to stop, he proceeded to hide behind a pole before running into the elevator lobby and trying to shut the door on the officers. He was quickly arrested; a screwdriver was found in his pocket. The car he’d originally been spotted near had pry marks on its driver’s side door from the screwdriver. He also had a small purse in his possession containing the ID and credit cards of a woman. Police called the woman, and she said her car had been broken into on Dec. 30. She said her bank had informed her that somebody tried to use her credit cards, but was unsuccessful. The suspect had been pushing a shopping cart full of clothes with the price tags still attached. Officers called the store the shopping cart was from and found out the suspect had shoplifted there the night before. The store’s loss prevention officer sent police photos of the suspect from the shoplifting incident that matched the suspect they had in custody. Police went to the 911 caller’s condo and spoke with a witness, a real estate agent who was on site to sell a unit. She said she’d arrived at the building at about 10:20 a.m. and saw the suspect outside fiddling with the real estate key boxes. When she came back downstairs she found the suspect in the lobby slamming his shopping cart into the lobby door and messing with the call box. After he left she noticed the call box didn’t seem to be working. She then watched the suspect walk around the building and attempt to open several doors, including doors to first floor units. The suspect was booked into King County Jail for burglary, car prowl, possession of stolen property, property damage, possession of burglary tools and two felony warrants. Police responded to an apartment building in the 900 block of Queen Anne Avenue North for a burglary at 4:55 p.m. Monday, Dec. 31. The building manager reported that somebody broke into the building and forced open the door to the laundry room. Then they forced open a storage closet inside the laundry room and pried open a key box, stealing all the keys to the building. The manager had already called a locksmith to come rekey all the doors, but not before one unit was broken into. One resident reported somebody broke into her apartment without forced entry. They rifled through all of her closets and drawers, and stole a full jewelry box. They also stole a bunch of makeup from her bathroom cabinet.